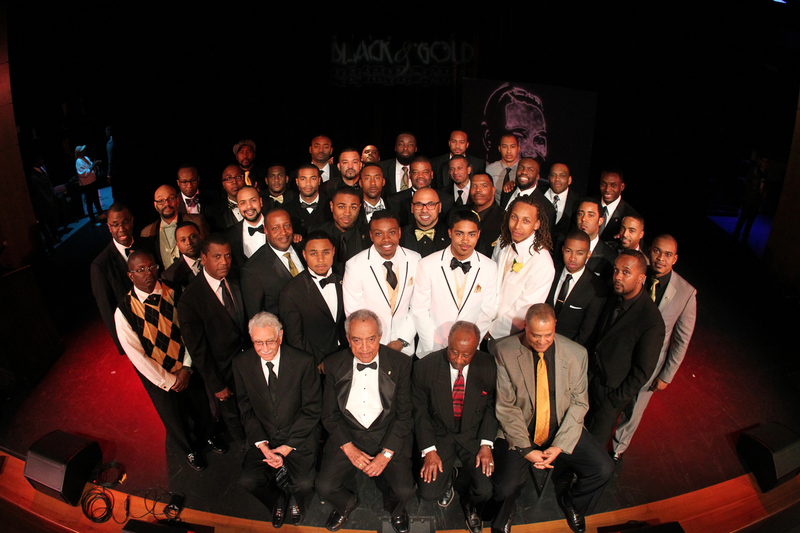 Brothers representing 1946-2013 pictured representing 7 different decades of Alpha located in this photo. Spring 89 Sphinxmen With General President Raymond Cannon. Ad Brothers with Gold Lettered Sphinxmen Hoodies.